Lisle, Janet Taylor. 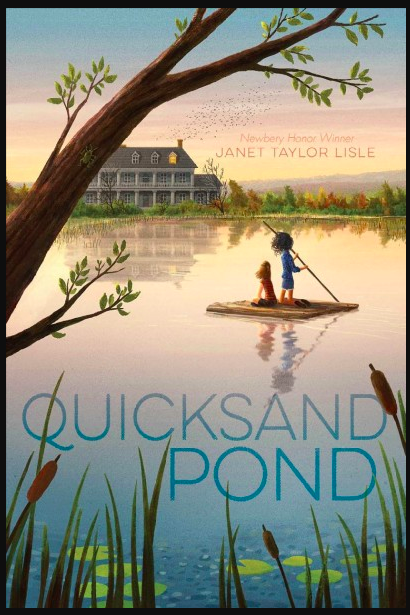 Quicksand Pond. New York: Atheneum Books for Young Readers, 2017. Twelve-year-old Jessie makes a new friend and discovers a decades-old mystery when she spends the summer with her family in a ramshackle Rhode Island saltbox. This 240-page novel by a skillful novelist is recommended for readers – 11 to 15 years old – who enjoy stories of friendship, secrets, and betrayal. More stories of mystery and suspense HERE. More stories of summer vacations HERE.